"Learn Armenian Online is the unique project which is one of a kind". Learn Armenian Online is a team of professional tutors with a huge experience in online teaching. 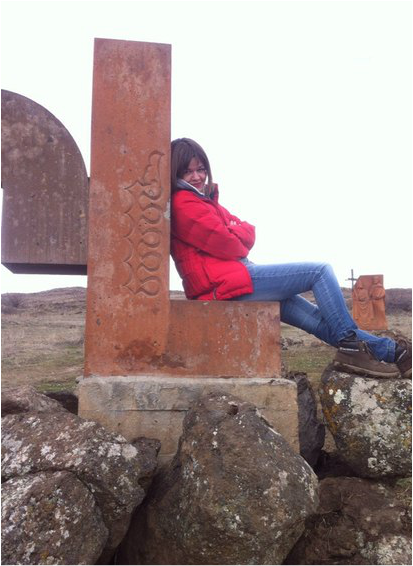 They will always help you to discover the mysterious Armenian language and you will never feel alone even if your teacher lives thousands km far from you. The course will be designed according to your aims and wishes and it will not only provide you with great language skills: it will be also an excellent opportunity to be closer to Armenia with its magnificent ancient culture and colorful everyday life. After my 1,5 years’ experience in learning Armenian, part of it with "Learn Armenian Online" project, I feel confidently in my everyday communication and can say that Learn Armenian Online is the unique project which is one of a kind. People who are in love with their language and culture and are eager to share their love with everyone.